These guidelines have been developed by the American Association of Clinical Endocrinologists (AACE) Board of Directors and American College of Endocrinology (ACE) Board of Trustees.It provides guidance on screening, risk assessment, and treatment recommendations for a range of patients with various lipid disorders. All the recommendation are based on a diligent review of the clinical evidence with transparent incorporation of subjective factors and adhere with published AACE protocols for the standardized production of clinical practice guidelines (CPGs). 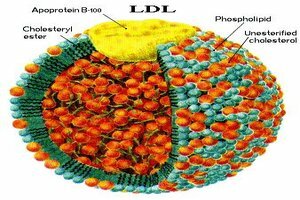 These recommendations emphasize the importance of treating low-density lipoprotein cholesterol (LDL-C) in some individuals to lower goals than previously recommended and support the measurement of coronary artery calcium scores and inflammatory markers to help stratify risk. Special consideration is given to patients with diabetes, familial hypercholesterolemia, women, and pediatric patients with dyslipidemia. Progressive atherosclerotic cardiovascular disease (ASCVD), including unstable angina, in patients after achieving an LDL-C <70 mg/dL. Established clinical cardiovascular disease in patients with diabetes, chronic kidney disease (CKD) stages 3/4, or heterozygous familial hypercholesterolemia (HeFH). History of premature ASCVD (<55 yr of age in men, <65 in women). Established or recent hospitalization for acute coronary syndrome; coronary, carotid, or peripheral vascular disease; 10-yr risk >20%. Diabetes or CKD stages 3/4 with one or more risk factors. Two or more risk factors and 10-year risk 10-20%. Diabetes or CKD stages 3/4 with no other risk factors. Two or more risk factors and 10-yr risk <10%. In order to summarise ,in contrast with 2013 guidelines from the American Heart Association and the American College of Cardiology, the AACE/ACE guidelines recommend LDL-C goals of <55 mg/dL, <70 mg/dL, <100 mg/dL, and <130 mg/dL for individuals at extreme, very high, high/moderate, and low risk for cardiovascular events, respectively, citing evidence that suggests that lowering LDL-C levels, regardless of starting point, is beneficial.